There are thorns in the forest, that we can not foresee. They catch on us when we are in full stride, surprising us by their determination and force to keep us HERE, or to turn and retreat. Desperate to reverse our progress they grasp our clothing and work their way in towards tender skin to scratch and irritate until we pay attention to them. 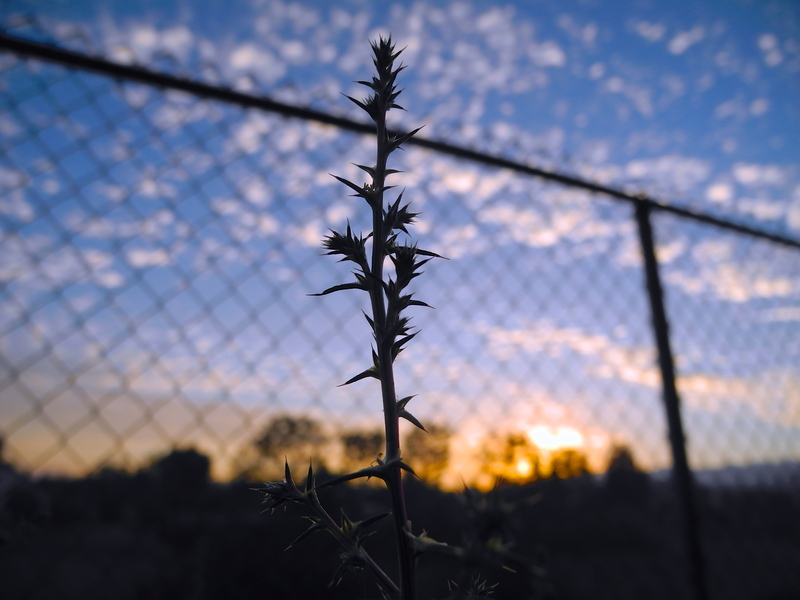 At night, these thorns become bigger than they are, bigger than life. They become things of nightmares that that dwarf us with their malicious intent until we fear we might never be able to outdo them in a battle of wills. But in the morning, in the clear pink light of dawn, these thorns are revealed. They are small and insignificant. They have no power. They are nothing more than fears. If we allow them to hinder us, we may get lost, or be stopped for a time. But if we watch our step and keep our eyes on the path of our future, we will find our way. So pay the thorns no more mind that a lose pebble underfoot, or a wet puddle to avoid. The thorns are passive and can only travel if they latch onto us. Greetings to you on this pink dawn, weed lovers! May your day grant you safe passage amongst the thorny things that threaten to slow you down. Thank you Jane. It’s not always easy. But in the dawn things always look better. Have a weederful day!